Have a question for Miami Inn? "Nice facilities and fiendly staff"
"Our stay here was satisfactory after initial confusion." "The mattresses are perfect and the room was very spacious." Designed for both business and leisure travel, Miami Inn is ideally situated in West Cagayan De Oro; one of the city's most popular locales. From here, guests can enjoy easy access to all that the lively city has to offer. With its convenient location, the hotel offers easy access to the city's must-see destinations. 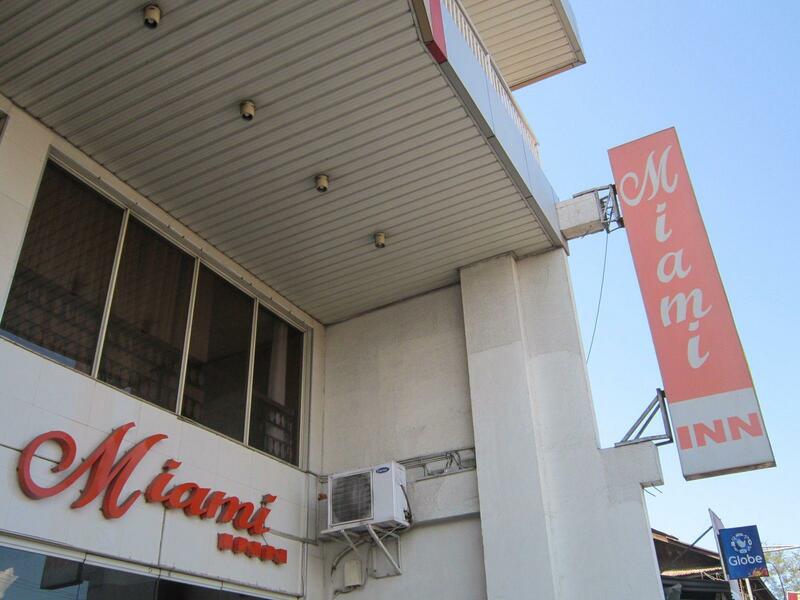 The facilities and services provided by Miami Inn ensure a pleasant stay for guests. The hotel provides 24-hour room service, express check-in/check-out, luggage storage, Wi-Fi in public areas, car park to ensure our guests the greatest comfort. Guests can choose from 25 rooms, all of which exude an atmosphere of total peace and harmony. The hotel offers many unique recreational opportunities such as massage. 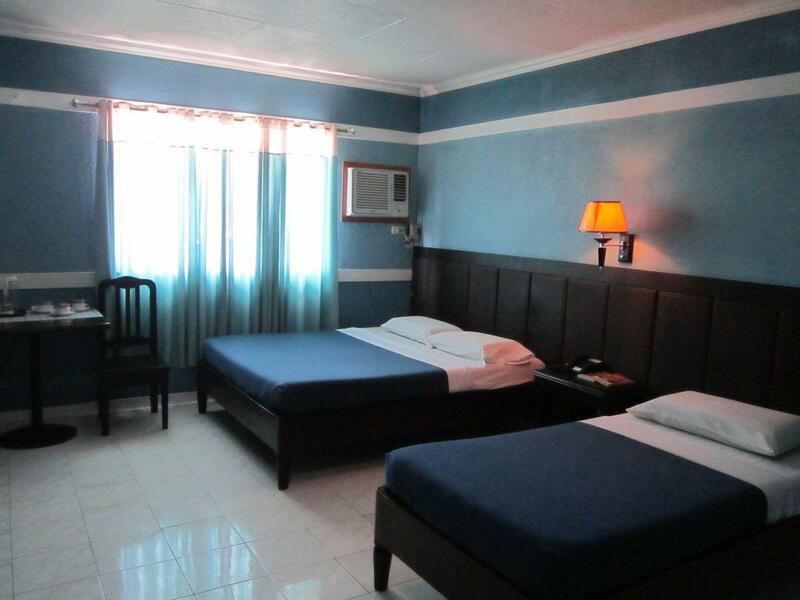 Miami Inn is an ideal place of stay for travelers seeking charm, comfort and convenience in Cagayan De Oro. "We extended our stay two times we enjoyed stayed nag there a..."
The rooms and furniture looked a little dated. The beddings weren't luxurious, just simple and basic, but I was so exhausted, it really was adequate. I had all that I needed. The aircon worked really well. Staff very helpful and friendly. I paid 85 pesos taxi to go to Centrio Mall. I would do it again if needed. whenever i have my stay in cagayan de oro i feel comfortable here. it's affordable also. whenever i stay at cagayan de oro stay i prefer to stay in this hotel, maybe because it suits my budget and it's quiet whenever you want to stay and relax after your long travel over the long road. very much easy to locate this hotel and for me it's comfortable to stay here. i can recommend this hotel to my friends and relatives when they have a budgeted adventure in cagayan de oro city.. money savings actually when you stay in this hotel. and the staffs are friendly so you can easily be accomodated if you have queries. after our long travel from surigao which is more or less 10 hours by bus... what i could say is i feel relaxed when i check in at the hotel. they are accommodating, the room is clean and i feel comfortable... but sad to say that they have no elevator at that time and we're in the third floor... yet it's a minor problem for me. i think what i can say for my several times of having in here is, this is a good hotel and it values your money... you've been comfortable with the location for an easy access in the center of the city. you can easily ask assistance from the front desk whenever you're traveling alone and you are new to the place. cagayan de oro is known to its del monte pineapple factory as you can smell along the road the freshness of the pineapples harvested from nearby town, bukidnon. very good and i should recommend this hotel with my friends also in the future... hope they would maintain cleanliness so that we enjoy our stay as always while we are away from home. you can easily have access in the area if your need to go around the heart of the city of cagayan de oro. i rather say, nice location as well as affordable rates. You basically get what you paid for... its quite a descent room and clean. The good thing about this is it’s complementary breakfast that was awesome and a descent one for sure. Though its a long ride from the city malls, but u can basically find neareast convenient stores outside. All in all its a good price for its perks and would highly recommend if your looking for a low middle budget cost for traveling. Breakfast is beyond expectation. Will surely come back, excellent wifi connection. Our stay here was satisfactory after initial confusion. The Miami Inn was very local to our relatives house around the corner which was ideal for us. The Hotel is described as an Inn but it is not quite a Hotel standard - The Receptionist described the Inn as a Hotel / Transient house. There is a plated breakfast included from around 5:30am and the rooms were kept clean. If you require replacement towels or Hot water coffee and sugar, then you need to ask reception. Shower in the room did not have a warm water option, basically there wasn't any. There were plenty of TV channels and the Air Con unit was not too noisy and working adequately. The Miami Inn is not bad for the money and you could definitely do a lot worse locally. 3.4 out of 5. We extended our stay two times we enjoyed stayed nag there and very good location for our purpose in Manila, going to CFO. 10 min slow walk from jefferson mall, and 7 min walk from harisson palza Nice places too have a beer and some food around. We will choose this place next time too. I had stayed here before. Good breakfast and staff is very good and friendly. Good price. Close to the malls and good places to eat. Easy to find for taxis and on jeepney route. Clean rooms with warm water and cable tv. it was a nice and pleasant stay. the staffs are very polite and friendly and would mostly accomodate your request, if available. very accessible. would book here again if given the chance to return to this place. Good deal on a safe hotel in a questionable area. We arrived at night and the security guard came out to meet our taxi and help with our bags. We were up early the next morning to go rafting and thrilled that the little cafe/restaurant on the ground floor is open from like 8am-10pm. The food is good and reasonably priced. They'll even deliver it up to your room for you. In the afternoon, we tried to walk around and see what, if anything, was nearby. Just busy roads and lots of gawkers if you happen to be foreign. So we just went back to the room, grateful for the free wifi and cable TV. After a hard day's activities, we opted to order in dinner. Phone books are in each room, so we found lots of food options in the yellow pages. You can dial out from the room, too, at 5pesos/minute. Front desk was very helpful. There's a laundry service that you can send away and have it back the next day. One of the tailoring shops all across the street fixed my bag's busted zipper for next to nothing (after negotiation). On our second day, the reception girls found the number for us to call Dahilayan Adventure Park in Bukidnon and told us how to get there. (It's quite a journey, but worth it.) When our flight was delayed on the last day, I noticed the shooting range flier at the front desk. The girl called for me and made us an appointment for as soon as we could get a taxi over there. They put our bags in the luggage room while we went off shooting targets for a couple of hours. Overall, good hotel with good services and a decent price.